Normally when you swipe your credit or debit card at the gas station, you expect that the pump is going to work correctly and give you the gas that you paid for. With gas prices hovering around $3.50 a gallon across the country, the last thing anyone wants is to have to pay extra because of a pump problem, but that’s just what a gentleman in Kansas City faced recently when pumping his gas. Haley wasn’t too happy after he stopped for gas at a station at North 13th Street and Quindaro Boulevard in Kansas City, KS, earlier this spring. Haley says the pump jumped 10 cents before he even squeezed the handle. “They said, ‘we’ll give you your dime back,’ or whatever, but I said, ‘that’s not the point,'” Haley said. Haley said he reported it to the station. The clerk offered a refund, but nothing was done to the pump. “People will see me and share with me different places where it happens to them, it’s probably not just one place where it’s happening,” Haley said. That was when Haley contacted KCTV5 investigative reporter Eric Chaloux to look into the matter. KCTV5 News made two trips to the station to purchase gas at the same pump that was giving Haley problems. During one purchase, the pump jumped 4 cents. The next visit days later, the pump jumped once again by 4 cents. Chaloux went into the gas station to alert the clerk to the pump jump problem. “I just used your pump 1, and it jumped before I pumped any gas in,” Chaloux said. The clerk said he would let his boss know and kindly offered a refund for the pump jump. At the time KCTV5 was at the station, there wasn’t a bag placed over the problem pump. Therefore, KCTV5 filed a complaint with the Kansas Department of Agriculture, the agency that oversees fuel station inspections. An investigator was later dispatched to the station, and determined that it was a worn valve at the end of the nozzle that caused the pump to jump. “They (valve) don’t go all the way shut, which allows product to drain out of there. When the next person comes along, they turn on the device. If the hose has been drained a bit, it records a sale,” said Lewis Hutfles, an inspector with the Kansas Division of Weights and Measures. With high gas prices, drivers want to make sure what they pay for makes it into their tank. KCTV5 discovered that it depends on where people live as to how often an inspector checks a pump for accuracy and quality. If drivers fill up in Johnson or Wyandotte counties, the state has a private contractor who inspects all the pumps within 12 months. For the rest of the Kansas counties around the metro, an inspector only checks the pumps once every 18 months. There are eight inspectors, including five state workers and three contractors, to inspect the state’s 31,804 pumps at 1,980 gas stations. The National Conference on Weights and Measures found that during July 2010 through June 2011, Kansas inspectors found a number of miscalculated pumps. If those corrections had not been made, consumers would have spent nearly $2.3 million on gas they never received. For the state of Kansas to close a gas pump, there is plus or minus of a six-cubic inch tolerance of gas that basically breaks down to around half a cup of fuel either extra or short before it is shut down. “I mean it’s pretty strict, and it’s amazing they do hold it, there are some that do need to be calibrated from time to time,” Hutfles said. In Missouri, gas pumps are checked more often. Under state statue inspectors check every pump, once every six months. A Missouri Department of Agriculture spokeswoman told KCTV5 that the state has an out-of-tolerance pump rate of 1.94 percent with 64 percent in favor of the consumer, for an estimated additional value of $1 million per year for the consumer. After Haley’s experience, he feels that every consumer needs to be on alert at the pumps for any possible problems. Copyright 2014 KCTV (Meredith Corp.) All rights reserved. Ishmael took a video of the ‘pump shenanigans’ and sent them to a local TV station, KCTV5, who took the video to the owner of the station for an explanation. The owner refused to talk on camera but instead went out and check the pumps personally, finding that the nozzle for the regular gas worked fine but that the E85 gas nozzle indeed was functioning incorrectly. He then made a promise to get the pump ‘checked out’ and bagged it so that no other drivers could use that particular pump. Unfortunately, what happened that gas station in Olathe, Kansas is something that’s happening at other gas stations around the state, and the country. In other parts of Kansas for example, including Johnson and Wyandotte County, a reporter for KCTV5 found that gas pumps are inspected once a year as opposed to the rest of the state where they are checked every 18 months. This more frequent checking helps to make sure that the pumps are functioning correctly and are charging customers correctly as well. There have been various reports from around the country about gas station owners actually tampering with their pumps in order to give less gasoline and get more money, but in this case it seems that the pump was actually faulty. However, in many states the top complaint being made by consumers this summer has to do with accuracy of gas pumps, followed closely by fuel quality problems. All of which means that, even if you find the cheapest gas station in town, it’s a good idea to keep an eye on the gas pump while you’re pumping your gas. That will help you to make sure that it’s functioning correctly and actually giving you the right amount of gas for the right price. For the last hundred or so years Americans, as well as the rest of the civilized world, have relied on gas powered vehicles to get around. Although there are a number of biofuel programs attempting to lower our gasoline consumption, the fact is that the United States is still overwhelmingly dependent on gasoline. Several companies however are developing new vehicles that run on natural gas. Called NGVs, they will help Americans to use a type of fuel that is less costly, leaves a smaller environmental footprint and has more energy content than gasoline. The driving force behind using natural gas is, most obviously, price. A 1 gallon equivalent, meaning enough natural gas to have the same energy as 1 gallon of gasoline, is just about two dollars per gallon, making it the second cheapest fuel source besides electricity. That puts it well below biodiesel, ethanol and diesel and gives it a price that you have to go back over 10 years to match. Price is a key reason that many commercial trucking fleets are turning to compressed natural gas (CNG) in droves, and, while there is certainly plenty of work that needs to be done before NGVs represent a larger share of the United States commercial transportation fleet, it represents an opportunity to greatly lower the cost of shipping goods across the country. Another reason that compressed natural gas is such an excellent alternative is that it has a much higher energy content than gasoline. For example, while “premium” gasoline usually has an octane rating of 91, CNG is usually around 130, which is rather impressive if you think about it. It also gets better fuel economy than gasoline even though the technology hasn’t even been perfected yet. All of these factors make natural gas vehicles a natural, if incomplete, remedy for the problems caused by gasoline powered vehicles. It will take a number of years until they really take over the market but, when you consider the efforts being made to change the infrastructure of the chain from natural gas drillers to suppliers and automakers, that day is fast approaching. Consumers can easily take advantage of special offers throughout the U.S. automobile market. On major holidays, there are plenty of nationwide discounts and other special promotions available on car leases and purchases. It is a tradition for car dealerships to mark down prices significantly during major holidays like Christmas, Independence Day and Thanksgiving. Local dealerships team up with auto manufacturers to come up with exciting ways to attract new customers. For example, some dealers might host special events like barbecue cookouts during summertime holidays. Of course, the ultimate goal is to sell brand-new cars that are nicely displayed in the parking lots. However, auto dealers understand that customers should have a good time in order to show some interest in buying new vehicles. Zero money down is one common offer made during special promotional periods at car dealerships. Zero percent APR is available for a limited length of time, such as 12 months for a financing term that’s 48 months in total. These days, consumers do not always have to visit a car dealership right away in order to browse a selection of models that are up for sale. Websites are loaded with listings of all the cars in stock in local dealerships. A simple entry of a zip code can yield results featuring the nearest car dealers within a maximum radius from a customer. When browsing virtual listings, customers can reserve some cars online. Several days are given for patrons to visit a dealership and test drive the reserved vehicle. Communication by email, text message and phone is available when making reservations on cars that are part of a local dealer’s inventory. The MSRP of a brand-new vehicle is typically negotiable. However, the addition of feature packages obviously brings up the price significantly. At the same time, customers can request that certain optional features be removed or substituted in order to adjust the final sale price according to a specific budget. Exploring Toyota Land Cruiser offers and other deals is one way to make buying or leasing full-size sport utility vehicles more budget-friendly. Is it Worth it for an Automaker to Go Green? It’s estimated that the world accommodates over a billion passenger cars. Their emissions play a part in global warming and the extreme weather conditions that result. One study showed that vehicle emissions accounted for as much as 90 percent of the air pollution in built-up areas. Per the World Health Organization, two million people meet their end prematurely each year because of air pollution. The emissions emanating from autos must decrease, and the public becomes more conscious of this by the day. Purchasing a greener car will not only salve your conscience but also save your hard-earned money by lessening the amount of fuel you burn. Honda and Toyota certainly think that car manufacturer should be environmentally-friendly. Honda is making its engines more efficient and its exhausts cleaner, in addition to reducing the impact of its plants upon the environment. A study by the Union of Concerned Scientists (UCS) found Honda to be the most environmentally friendly carmaker. You can see Honda prices on Carsales. Tied with Honda for second places in the UCS study was Hyundai. The company installed the largest extent of solar panels in South Korea at its plant in Asan. Another 40,000 photovoltaic modules are planned. Hyundai’s Sonata Hybrid was named as the Environmentally Friendly Car of Choice by the U.S. government. The CO2 emissions of the Imax fell. 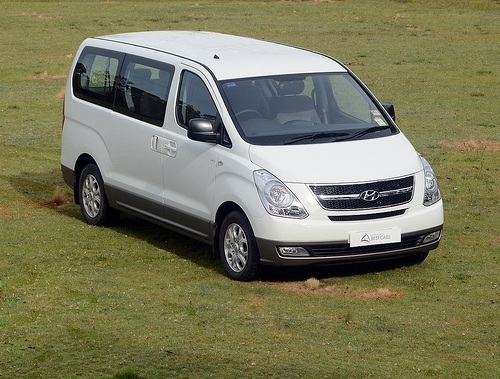 You can find Hyundai Imax prices on carsales. Why might Honda and Toyota have gone green? Satisfying the increasing customer demand for greener cars would be of great benefit for an automaker as the social responsibility thus demonstrated will negate the demonization of companies that has taken place over the last few years. There are manufacturers who have drastically bettered their public image by making products that are more socially-responsible. When a market is as advertising-intensive as that of cars, this differentiation is crucial. A survey of over a thousand U.S. citizens undertaken by Good Must Grow revealed that 60 percent of respondents believed it was important to use socially responsible companies. At the same time, the number that intended to make more charitable donations decreased – there appears to be an inverse relationship between responsible purchasing and charitable giving. Another U.S. survey found 67.9 percent of people to believe that automakers were “not very” or “not at all” socially responsible, with 48.1 percent saying this consideration was “quite” or “very” important when they chose a car, so increased perception of a car company as socially-responsible certainly provides useful differentiation. One more survey, this time by Ford in 2012, showed 35 percent of Europeans to be prepared to fork out more for an auto that was greener, when 71 percent were reducing their outgoings. A survey by a market research company that was worldwide in scope and encompassed 13,500 people found 59 percent of people wishing to own a greener car. 57 percent wished to make their lifestyle greener. One of the greatest determinants of how socially-responsible a company is perceived to be is its environmental impact. People don’t bestow such a perception lightly – they confirm the decision through reading the information supplied with products and following the news. Although few people will abandon their iPhone on account its manufacturers’ unpleasant labor practices, the social responsibility associated with a company is important. And Apple has declared that the companies it employs will improve. Companies will be penalized by advertising regulators if they falsely claim to be socially responsible, as occurred in the United Kingdom with the Renault Twingo, which was depicted with leaves blowing from its tailpipe despite its emissions ranking near the bottom for a car of that magnitude. When the U.S. government rescued General Motors, it dictated that the company must become greener. Children imbibe the green agenda in the classroom, and the ensuing pester power works for the environment. While companies exist to make a profit, evidently, it would be beneficial to be environmentally friendly while they’re at it. Is the Federal Fuel Tax About to be Cut? It what will amount to an absolutely asinine and incredibly stupid move should it happen, some members of Congress may oppose the renewal of the federal gasoline and diesel fuel tax when it is set to expire this fall. This tax generates revenue which is used to keep our highways from falling apart. Considering our nationâ€™s infrastructure is crumbling, now seems like the perfect time to pull the plug on the tax, right? A bill was recently introduced by Senate Republicans that would allow states to opt out of the federal highway program. The highway program uses $32 billion each year collected by the gas tax, plus a handful of smaller fees and some borrowing to distribute some $50 billion a year to the states for road construction, maintenance and mass transit projects. That represents about 28% of all road and transit spending nationwide, with the rest coming from states or towns in the form of tolls, registration and user fees, state gas taxes or their general funds. The argument for cutting the federal tax is that highways would be better served by state and local governments, which could raise their fuel taxes, should they choose. Donâ€™t get me wrong, Iâ€™m all for statesâ€™ rights and less Federal oversight, but at a time when state and local governments are running massive deficits and having to slash their budgets left and right, is this really the time to put the burden of the nationâ€™s highway system on them? My fear is that the gas taxes would go up at the state level, only to fund non-highway and transportation projects, leaving us with even worse road than we already have. Anyway, tell me your thoughts on this. Good idea? Bad idea? Leave a comment below and, as always, please share this post using the social bookmarking buttons â€“ especially Facebook and Twitter. I’ll be upfront with this, I don’t believe that the White House’s soon to be proposed higher fuel economy standards are going to kill the economy. I just don’t think it’s realistic. In fact, I tend to be on the other side of the argument and believe the new standards would create jobs, largely due to more people around the world 1) owning cars and 2) wanting more fuel efficient vehicles. Just think, if America led the way in fuel efficient vehicle production, how in the world could that be a job killer? Thanks to Obama, the U.S. government now has three agencies–the National Highway Transportation Safety Administration, the Environmental Protection Agency, and the California Air Resources Board–involved in the effort to improve through mandates the fuel economy of U.S. passenger vehicles. Before 2009, when the current administration added EPA and CARB to the mix, the issue was more or less the sole province of NHTSA. Why the change? Under the old rules Congress required NHTSA to consider what an increase in the Corporate Average Fuel Economy or CAFE standard would do to jobs and to the affordability and safety of vehicles in the U.S. passenger fleet. EPA and CARB are bound by no such rules; indeed CARB, as a state agency, is largely outside the jurisdiction of the U.S. Congress–which is probably why EPA and CARB are the ones drafting the next round of fuel economy regulations. Federal regulators at the EPA, working with their counterparts in Sacramento at CARB, are trying to get around Congress in an effort to mandate that the CAFE standard be bumped all the way up to 56 miles per gallon for model years 2017 to 2025, a move that is certain to batter the already teetering U.S. auto industry even further while making cars less safe and more expensive. I don’t think Obama included the EPA and the CARB as a means of thwarting the EPA’s authority regarding fuel economy. If you look at Obama as a person, he’s much more of a collaborator, so it makes sense that he would bring these three like-minded agencies together in order to solve this problem. Also, I would like proof that raising fuel economy standards over the next 15 years is going to “batter the already teetering U.S. auto industry.” As I stated before, I tend to think the improved fuel economy standards would do the opposite. Then again, what do I know, I’m just a blogger. What do you think? Would the new fuel economy standards kill the economy and auto industry? Leave your thoughts below and, as always, please share this post using the social bookmarking buttons below – especially Facebook and Twitter! Remember when I said the Alliance for Automobile Manufacturers had cancelled their radio ad campaign against the proposed increase in fuel economy standards? Yeah, turns out that’s back on – in addiction to a competing ad trumpeting the benefits of pushing fuel economy standards to 60 mpg! Let's be honest, if we leave it up to Washington, this stuff is never going to get figured out. The ad war over fuel economy standards ratcheted up again today, as both sides of the debate are increasingly turning to the airwaves to make their case and put pressure on Washington decision-makers. Go60MPG, a coalition of environmental groups supporting a fleet average of 60 miles per gallon by 2025, is launching radio ads today on Washington-area stations touting the benefits of a high fuel economy standard. The automakers’ ad campaign through the Alliance for Automobile Manufacturers was nearly canceled after opposition from General Motors, Chrysler and Toyota. But a second vote Thursday among all of the Alliance members meant the ads would continue through this week, and possibly longer. They claim a 56 m.p.g. target would cost jobs and limit consumer choices. Personally, I think this whole thing is stupid and just goes to show how much corporations and their deep pockets influence our political system. That being said, this isn’t the Huffington Post, so I’ll just talk about fuel economy. Increase fuel economy standards: we’re technologically advanced enough to get better fuel economy out of most vehicles. Just get it done. Increasing the fuel economy standards helps to offset the pain at the pump brought about by the higher fuel costs, although probably not enough to make it a net gain/loss $0. That being said, it’s time to crap or get off the pot. JUST DO SOMETHING! What are your thoughts? Leave your comments below and, as always, please share this post using the social bookmarking buttons below – especially Facebook and Twitter! After several days of posturing and, quite frankly, whining about the Obama administration’s proposed new fuel economy standards, the Alliance of Automobile Manufactures has decided not to air its radio campaign aimed at getting the public behind less substantial fuel economy increases. The Alliance of Automobile Manufacturers — the trade association representing Detroit’s Big Three, Toyota Motor Corp. and eight others — has canceled a two-week radio campaign planned for 14 states to urge the administration to back “attainable” fuel efficiency standards. Late Wednesday, the group held a conference call and opted not to run the ads as talks between the Obama administration automakers over the 2017-25 fuel efficiency standards continue. “After tough times, today’s auto industry is on the road to economic recovery. But an upcoming decision threatens that progress,” says the ad, obtained by The Detroit News on Friday. So, I wonder what the AAM would think of my proposal: double the current CAFE standards by 2025 and raise the gas tax incrementally by 25 cents per gallon a year over the next eight years. Maybe if you pass this article around and make it go viral, you’ll hear a radio campaign aimed at shutting me up! What do you think about either proposal? Leave your comments below and please share this article using the social sharing buttons below – especially Facebook and Twitter! Why can't we seem to figure out this gas mileage stuff? Despite having a large portion of their state’s economy saved by the Federal Government’s auto bailouts, lawmakers in Michigan are preparing to express concerns and discontent over the White House’s rumored new fuel economy standards.Â In case you’re not already aware, it is believed the White House will push CAFE standards to 56.2 miles per gallon (mpg) by 2025, nearly doubling today’s standards. It currently remains unclear whether the letter will specifically take on the 56 m.p.g. target by 2025 that the White House wants, or raise more generalized concerns. As the Free Press reported Tuesday, Michigan’s congressional delegation gathered this morning to decide whether to publicly join the fuel economy debate. Michigan’s members of Congress had mostly remained silent in public as the negotiations have continued in recent weeks. While this article seems to be rather ambiguous, if you read between the lines it’s obvious to see that the Michigan lawmakers will oppose the large raise in fuel economy standards, mostly because they will be inconvenient to some of the largest businesses in Michigan. You see, state and local governments are not immune to being “persuaded” (read: in bed with) corporations, and will do whatever is in the company’s best interest. Despite the fact I believe simply raising the fuel tax would achieve a greater reduction in fuel consumption, I’m still all for raising fuel economy standards.Â Unfortunately, it appears that Michigan lawmakers will take the stance of going with neither. What are your thoughts?Â Should Michigan lawmakers oppose?Â Are you tired of our governments putting the best interests of corporations first?Â Leave your comments below or share this post via the social sharing buttons – especially Facebook and Twitter. Fuel Economy vs. Fuel Taxes – Which Will Do More? Here’s an interesting question: which is more likely to make you use less fuel, forcing you to buy a more fuel efficient vehicle or forcing you to pay a much, much higher fuel tax? The Obama administration is considering a fleetwide average of 56.2 miles per gallon for all new cars and trucks sold in the US by 2025, The Wall Street Journal reported late Saturday citing two people briefed on the matter said. The proposal would roughly double current fuel-economy targets, and would likely raise the price of some cars by several thousand dollars. Read more of this Fox News article by clicking here. 2025 is certainly a long way off, these new standards are certainly worth debating in the meantime. While I think most of us would be willing to argue that reducing fuel consumption is certainly something we need to do, there are arguments that simply raising fuel economy standards isn’t the best way to go about it. The problem with higher CAFE standards is that they encourage fuel saving only with regard to the choice of what car to buy. Once a consumer buys a low-mileage vehicle, the cost of driving and extra mile goes down, thereby reducing the incentive for fuel-saving measures like moving closer to work, working at home, riding the bus to work, or consolidating errands. The very fuel-saving strategies that CAFE standards discourage, like moving closer to work or consolidating errands, are often the ones that have the lowest costs. That is why the total cost of reaching a given national fuel-saving target will be greater when achieved through CAFE standards than when induced by an increase in fuel taxes. If you’re a fan of economics, studies in spending habits, or just interested in the topic, I highly recommend you read the article in its entirety. Anyway, in looking at this side of the argument, I think I would have to agree with Dolan.Â Think about it, in order to get the biggest environmental bang for the buck you need to fundamentally change people’s driving habits.Â You’re not going to do that by increasing fuel economy standards.Â That’s painless. The only way you’re really going to invoke substantial change is to cause pain, particularly pain in the wallet.Â That’s why a dramatic increase in the fuel tax would mass a larger reduction in fuel usage and pollution than simply raising fuel economy standards. Yes, I realize this is a so-called “regressive tax” meaning it affects the poor far more than the wealthy, but, as heartless as it sounds, I don’t think that should stop politicians from moving forward with a fuel tax increase. What do you think?Â Which is more apt to bring bigger changes?Â Leave a comment below and be sure to spread the word using the social buttons below.